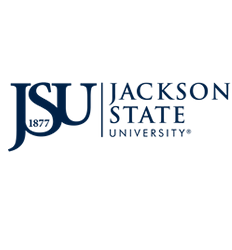 The Office of Research and Economic Development at Jackson State University is the conduit for the university’s interactions with the local community, state, nation, and the world in the area of sponsored programs. The achievements of the university’s faculty, staff and students, along with the expertise of the university’s scholars are shared with the broader community. The Division creates, promotes and supports a research environment by helping faculty, staff and students identify opportunities and secure externally funded grants, contracts and cooperative agreements. The Office supports the President’s Office in identifying and acquiring resources for special initiatives to advance the mission of the university. It works in collaboration with all divisions and units to promote JSU’s vision. Administrative oversight within the Office includes the areas of Sponsored Programs, Research Compliance, Technology Transfer and Commercialization, federal congressional initiatives, and other research and development strategic initiatives. The Office will serve as a leader in promoting excellence among all university scholars and be recognized as a model in developing multidisciplinary collaborations throughout the campus, local, national, and international communities. To promote innovation, academic entrepreneurship and scholarly engagement, and to increase research and development, the Office will be redesigned with a focus on service to the university and its scholars. Administrative staff will increase engagement with program officers and funding agencies, build strategic alliances and collaborations, develop a closer relationship with faculty researchers, and highlight the work of student/faculty research teams. The staff will establish a transparent pipeline of the entire proposal development and project management process, from concept development and proposal submission to project implementation and research sustainability.